Our "Fantasy, Folklore, and Fairytales" Reading Clubs are just nine days away on May 10th, and we are still on the search for 160 more volunteers! We hope you can join us by signing up here. Please be sure to spread the word to your family and friends, and don't forget to join our May 10th Facebook event. Our many thanks to you to all who supported our 15th Anniversary Celebration, Comedy Night & Silent Auction this past Tuesday! Whether you donated or bought an auction item, helped with the planning and logistics, or just sat back and enjoyed the show, you helped us celebrate 15 years of spreading the joy of literacy to LAUSD children! Lamb Chop was unable to join us Tuesday night because she was stuck at an airport in the Midwest, so the evening was hosted by the wonderfully funny Patrick Keane! Thank you for filling in so very well, Patrick! We also extend very special shouts out to our line-up of great comedic talent – Fred Stoller, Dwayne Perkins, Jason Collings, Matt Kirshen, and Flip Schultz! If you enjoyed their performances and/or want to thank them for donating their time and jokes to create such a fantastic evening, click their links above to drop each a note! 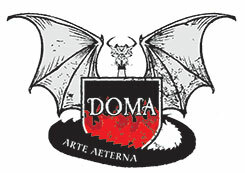 Finally, we especially wish to thank DOMA Theatre Company for their additional generosity during the festivities. They are offering to Reading to Kids supporters 50% off General Admission to their next production, Dorian's Descent, a new musical interpretation of The Picture of Dorian Gray by Oscar Wilde, premiering May 30th. Just enter promo code "READINGTOKIDS" when you purchase tickets through either of the above websites. This offer is valid subject to availability of tickets. Please also click the image below for a flyer in .PDF format, and forward it to anyone you know who may be interested in going to our Legendary Bingo Night. Be there or be square! Or, find Rachel at Los Angeles Elementary School during the May 10th Reading Clubs or at El Cholo afterwards. Send your questions to Rachel at Rachel.Harter readingtokids.org. Thanks, and we look forward to seeing you at the reading clubs on May 10th! - Sign Up Today for May 10th Clubs! - Thank you Comics, Bidders, & DOMA!